the ancient transcendental dance between the 'haves' and the 'have-nots.'" 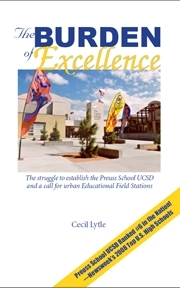 This stirring memoir by the retired provost of Thurgood Marshall College at UCSD tells the story of his five-year struggle to establish a model college-preparatory public charter school for children from underrepresented backgrounds on the campus of a major state university. This effort was his response to the anti-affirmative action movement in California, which limited access by underserved minorities to higher education by statute in 1996, with the passage of Proposition 209. It is his hope that the lessons learned from this model school, which has now been recognized as one of the top ten high schools in the U.S.A., can be transferred to urban areas and used by colleges and universities across the country to improve educational opportunities everywhere, in the same way that the University of California used Agricultural Field Stations in the 20th century to improve the agriculture industry throughout the state.